There are a lot of expensive editing PDF tools in the market. Although some of them work great with professional features, but you may still want to find some free or cheap way to edit PDF. Most of you may consider Google Docs, as it is a good way for creating and editing documents. Also, you can use its functions anytime and anywhere. In this post, we will show you some free solutions on how to edit a PDF in Google Docs. Continue reading the article to reveal them. Google Docs is one of Google online services which lets users create documents. It supports several file formats such as Word, PDF and Spreadsheets. 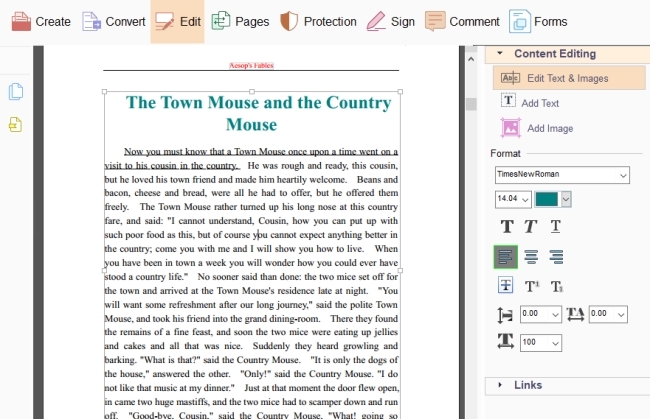 With it, users can edit their PDF files easily without installing any application. By using this app, users will not bother to bring their storage device. 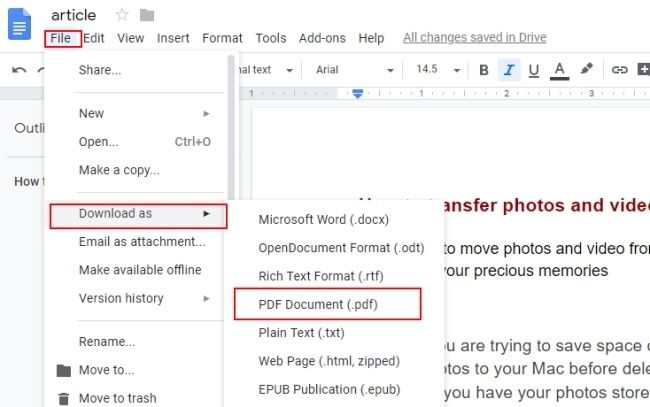 Here are the steps to edit PDF files in Google Docs. On your browser, open Google Docs site and log in to your account. Next, hit “Blank” to start a new document. Then, click “File” > “Open” or press the “Ctrl” + “O” keys on your keyboard. 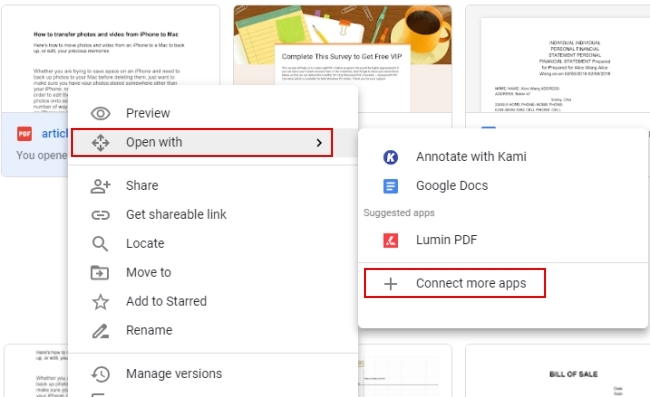 If the PDF file is already in your Google Drive, you just need to choose the file and then hit “Open” to start editing the file. If you want to upload the file from your local drive, then you can go to “Upload” to select a file. 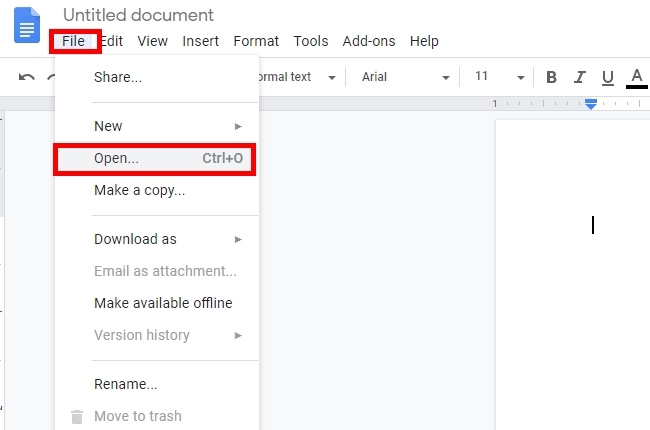 When the file is uploaded, you can click the dropdown button beside “Open with”, and then choose “Google Docs”. After this, you can begin to edit PDF in Google Docs. Once it is done, hit “File” > “Download as”, then choose “PDF Document (.pdf)” to save it on your PC. 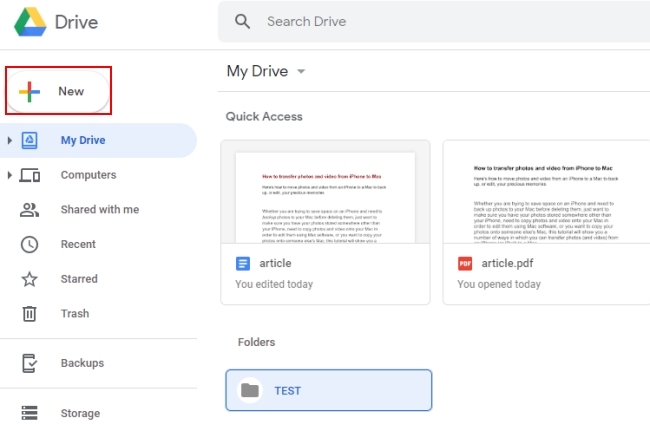 Google Drive is a tool which known to be a cloud storage. Users can back up their files like documents, photos etc. by uploading them to the program. To my surprise, this program is capable of editing PDF documents. Users can use it to correct some parts of the file not only using their computer but also with their mobile phones. Also, it lets you add images, drawing and tables. Follow the guide given below on how to edit a PDF in Google Docs with Google Drive. Open its official site and log in with your account. Click the “New” button to upload the PDF file that you want to edit. Once the file is uploaded, right-click the file and hit “Open With” > “Connect More Apps”. Search for or select an editor you can use then hit “Connect”. Once connected, right-click the uploaded file and choose the editor you connected. After that, it will jump to the website of that app. And you can edit with that file. As you can see from the above, Google built-in solutions are free and convenient. You can easily manage and edit your PDF files anywhere and anytime. However, we do not really recommend users whose files contain background or images to use this solution to edit PDF. Because using this way, your page layout may become a mess or the images in the file won’t show up. And in that case, we recommend an alternative way to help you edit PDF. ApowerPDF is a desktop PDF tool which offers a lot of PDF features, such as editing documents, converting to other file formats, viewing PDF, signing PDF, creating PDF forms, annotating PDF, etc. With its editing function, users will be able to edit the content of the PDF which includes adding text and images, modifying images and content, inserting links, removing watermarks, adding page numbers, so on and so forth. Follow the steps given to edit PDF. Hit the “Download” button to install it on your PC. Open the PDF file that wish to edit by dragging the file to the program. Once the file is successfully added, go to the “Edit” tab and modify the document. To save the changes you have made, hit “File” and then “Save”. Thus, editing PDF file at any moment is possible with the use of the mentioned tools above. 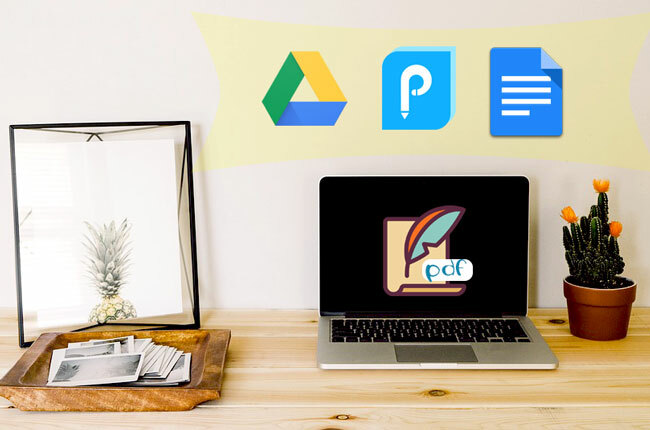 You don’t have to bring a flash drive, hard drive or any portable data storage with you, but can edit PDF files in Google Docs on the go. If you want a PDF tool which has a complete and advanced functions, then ApowerPDF is the best choice.